1. 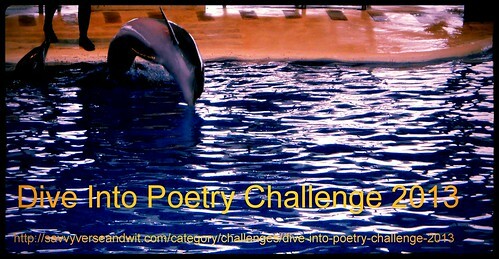 Create a post on your blog stating your intention to read poetry in 2013 and sign up in Mr. Linky. If you don’t have a blog, simply leave a comment about reading poetry in 2013. Read and review up to 2 books of poetry throughout 2013 and leave the full link to each review in Mr. Linky. 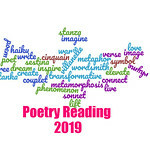 Participate in at least 3 Virtual Poetry Circles throughout the year. Sign up to feature poetry on your blog for April’s National Poetry Month as part of Savvy Verse & Wit’s Blog Tour. Feature one poet per month on your own blog. 3. Complete your goals between Jan. 1, 2013, and Dec. 31, 2013. I have my first review on the blog if you want to check it out, Serena! I wasn’t sure if we were supposed to share as we go along. I’m totally doing this one! Will do my post committing this weekend! Sounds like fun. I’d love to read more poetry. Count me in! Looking forward to participating as much as I can! Thank you very much for hosting. Thanks for joining, Leigh Anne. Sounds like fun, as always. Could you consider scheduling the virtual poetry circle to post on a different day sometimes? Not sure what day I would post it on. I post it on Saturdays as a low key day for participants. And people don’t have to comment on that day to participate, they can comment on Sunday, Monday-Friday of the following week too.